Thin film coating is used to enhance the optical performance of elements. 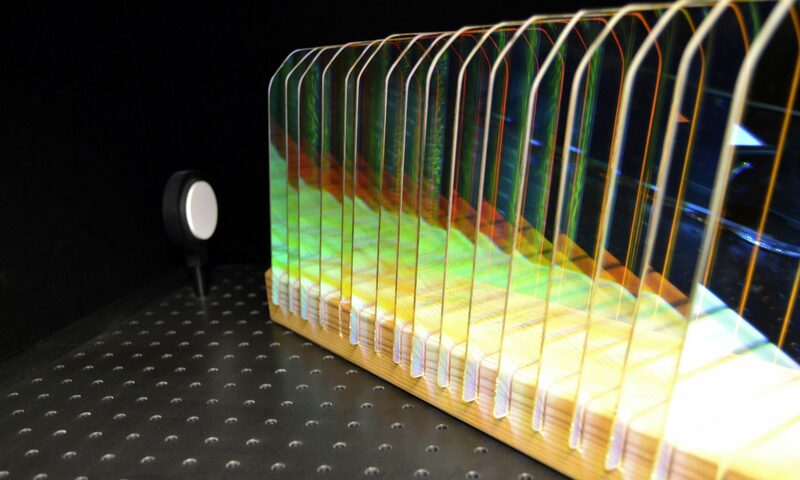 Coatings, such as filters and mirrors, enable various ways to manipulate light. Oplatek has extensive experience in manufacturing a wide range of coatings for various substrates. We use ion assisted physical vapor deposition to manufacture both metallic and dielectric coatings. We design thin films for your needs and specifications. Suitable substrate materials for filters and mirrors are glass, silica and sapphire, for mirrors also plastics and metals. We ensure the quality of the coatings with optical measurements.